'Australian authorities to try new approach in countering radicalisation', 2 November 2010. 10 February 2003, 'The Bali Confessions'. 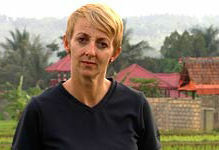 Sally Neighbour retraces the steps of the 2002 Bali bombers. 'The Network', 28 October 2002. Two weeks after the Bali bombings, a road map to terror in Australia's neighbourhood. 'The Christmas Party', Monday 1 July 2002. The full story of the Christmas Island casino and the powerful Indonesian figures behind it. 'A Black Day for Justice', Monday 18 March 2002. How DNA evidence cleared a man convicted of a crime he didn't commit. 'Left for Dead', Monday 27 August 2001. If you go missing at sea, what are your chances of being found and rescued? 'Divided we Fall', Monday 21 May 2001. 4 Corners explores the bitter power struggles within the Construction, Forestry, Mining and Energy Union. 'Catch me if you Can', Monday 19 March 2001. The story of a convicted fraudster who brought dreams of cattle empires, diamond mines and Wall Street bonds to a tiny bush community. 'Terror returns to Jakarta': ABC Unleashed, 18 July 2009. 'Refugees pay $40,000 to come by plane', 24 November 2009. 'Top is survived by terror', 19 September 2009. 'Edict may boost threat level as Defence, AFP examine al-Qa'ida kidnap warning', 18 September 2009. 'Seeds of Destruction: Documents provide insider accounts of opposition within al-Qa'ida to the 9/11 attacks, and how bin Laden prevailed', 11 September 2009. 'Fraudsters target energy contracts', 1 July 2009. 'A class of their own', 19 June 2009. Muslim parents are among a growing trend towards home-schooling. The third in a three-part series on Islamic schooling in Australia. 'Quest for acceptance', 10 June 2009. Islamic schools are keen to dispel negative stereotypes. 'No lessons here', 3 June 2009. The rejection of plans for an Islamic school has caused jubilation in Camden but the issue won't go away. The first of a three-part special on Islamic schooling in Australia. 'Islamic school ruled out: Township residents win two-year fight', 3 June 2009. 'Propogandists of terror prevailing', 22 April 2009. 'Ex jailbird in charge of $40m corruption war', 17 March 2009. 'Terror camp training was a rite of passage', 5 March 2009. 'Accused's trial by media', 24 October 2008. 'Taliban conflict cannot be won in Afghanistan', 10 July 2008. 'Granny denies she is public enemy number one', 29 January 2008. 'Young and alienated in their own country,' 8 March 2008. 'My Life as a Terrorist', 4 December 2007. Jack Roche tells Sally Neighbour how ASIO failed to act on information he had that could have stopped the September 11 and Bali bombings. 'Over their dead bodies', 9 November 2007. Their prison cells have become hubs from which the Bali bombers, now facing death, spread their radical ideology. 'After the dust cleared', 12 October 2007. 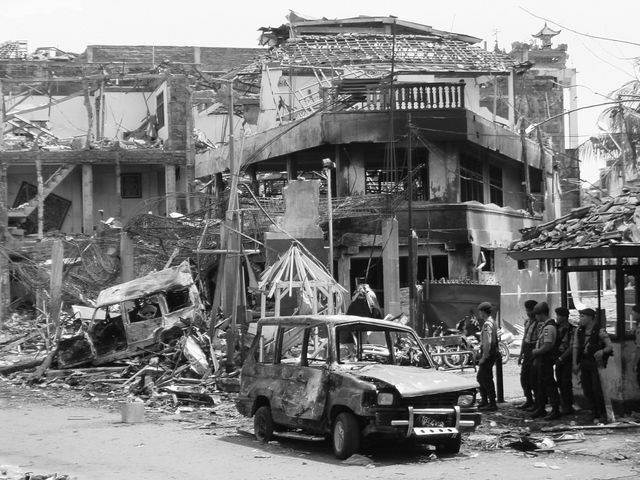 On the fifth anniversary of the Bali bombings, Sally Neighbour examines the fights and cultural clashes in the hunt for the culprits. University conference on Monday', 12 October 2007. 'Nurturing a new class of radicals', 3 September 2007. 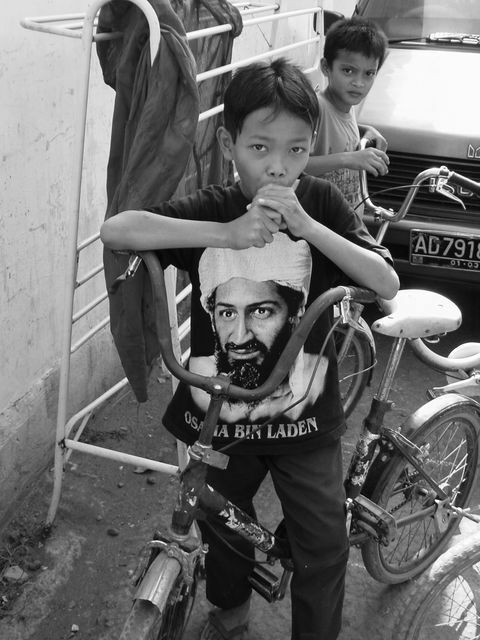 Primary schools are the new recruiting ground for Indonesia's Muslim extremist group Jemaah Islamiyah. 'Self-made terrorists', 17 August 2007. They are sons of middle-class immigrants who become radical Muslims and find the meaning of life in death. 'Guilty until Proven Innocent', 19 July 2007. 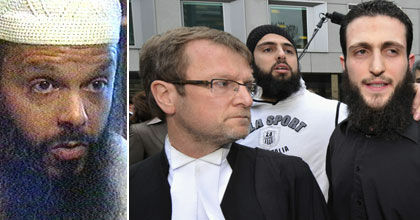 Political interference and overzealous use of anti-terrorism laws have led to bungled prosecutions. 'Risen from the Grave', 14 July 2007. Far from hiding in caves licking their wounds, Osama bin Laden's Al-Qa'ida terrorists are emboldened and on the march. 'Modern militant 'recruits himself'', 4 July 2007. 'Nations linked by blood and Islam', 2 July 2007. 'Hiding in plain sight', 23 June 2007. The arrest of an Indonesian terrorist 'grandfather' shows the difficulties authorities face in penetrating Jemaah Islamiah. 'Torture account sidesteps gag on Hicks', 7 April 2007. 'Hicks surrenders: The jury is still out on whether Gitmo represents justice, but David Hicks' guilty plea comes as a relief to two governments, 28 March 2007. 'Confessions of a madman: Khalid Shaikh Mohammed has told a Guantanamo Bay hearing he was the brains behind al-Qa'ida's biggest bombings', 16 March 2007. 'Aussies leaned on US to alter Hicks charges', 14 March 2007. 'JI rebounds more dangerous than ever', 6 March 2007. 'Mates 'til the death', 19 February 2007. Terrorist cells are like cults whose members form close bonds and attack their own communities, writes Sally Neighbour. 'Militant networks', 18 November 2006. A handshake in a Melbourne mosque almost 20 years ago between the leaders of two radical Muslim groups signalled the start of an enduring alliance. 'Bomb maker's death doesn't signal end of JI campaign', 12 November 2005. 'Australian mum married into al-Qa'ida', 6 November 2006. 'The Long road from Bali to Kabul', 6 November 2006. The mother of two Australians arrested in Yemen on terror charges is a "fanatical" Islamist. 'Spotting the terrorism suspects', 4 November 2005. Two sharp-eyed Melburnians alerted police to a possible plot, writes Sally Neighbour. 'How a group of six fanatics mapped their plan of attack', 15 October 2005. 'A war that never ends', 3 October 2005. Hundreds of arrests in the wake of the first Bali attack forced Jemaah Islamiah to mutate into an even deadlier threat. 'Making a martyr of a mastermind', 14 February 2005. The Bashir trial is likely to please no one except Bashir, argues Sally Neighbour.